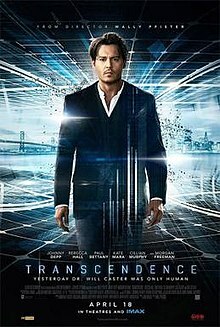 Today, I’m going to take a look at the 2014 speculative science-fiction drama-thriller, Transcendence. The deep cast of Transcendence includes the likes of Johnny Depp (Donnie Brasco, Ed Wood, Cry-Baby, A Nightmare On Elm Street, Dead Man, From Hell, Secret Window, Blow, Edward Scissorhands, Pirates of the Caribbean, Fear and Loathing in Las Vegas), Rebecca Hall (The Prestige, The Town, Christine, The Gift, Iron Man 3), Morgan Freeman (The Shawshank Redemption, Dreamcatcher, Wanted, Lucky Number Slevin, Seven, Invictus, Driving Miss Daisy, Million Dollar Baby), Paul Bettany (Master & Commander, Avengers: Age of Ultron, Captain America: Civil War, Creation, Legion), Cillian Murphy (Batman Begins, Red Eye, 28 Days Later, Inception), Kate Mara (Fantastic Four, Shooter, We Are Marshall, The Martian, House of Cards), and Clifton Collins, Jr. (Capote, Traffic, WestWorld, The Boondock Saints II, Mindhunters). The screenplay for the film was written by Jack Paglen, who also wrote the recent film Alien: Covenant, and is slated to be involved with the upcoming screenplay of Godzilla vs. Kong. Transcendence is the directorial debut of Wally Pfister. On top of directing a handful of episodes of The Tick and Flaked, Pfister has been a cinematographer on such movies as The Prestige, Inception, The Dark Knight, Insomnia, Moneyball, Memento, Scotland, PA, Batman Begins, and The Dark Knight Rises. The editor for the film was David Rosenbloom, whose other cutting credits include Black Mass, Deep Impact, Fracture, Friday Night Lights, The Recruit, Blue Chips, Hart’s War, Best Seller, Rudy, and Friday Night Lights. The cinematographer for Transcendence was Jess Hall, who also shot the recent Ghost In The Shell adaptation, as well as Creation, Hot Fuzz, and Son of Rambow. The musical score for the film was composed by Mychael Danna, who also provided scores for the films Moneyball, Life of Pi, 500 Days of Summer, Lakeview Terrace, 8MM, Capote, Fracture, and Little Miss Sunshine, among others. Director Wally Pfister had the film shot on 35mm film: a practice that has become increasingly uncommon with the prevalence of digital filming techniques. However, Pfister has often shot on film for the numerous Christopher Nolan movies where he served as director of photography. The screenplay for Transcendence made the 2012 Black List: a ranking generated from a survey of Hollywood insiders that spotlights the best-liked unproduced screenplays still in circulation at the time. In its lifetime theatrical run worldwide, Transcendence brought in just over $103 million on an estimated production budget of $100 million. Given the production costs not included in that budget number, like promotion, the movie was likely a significant financial loss. Critically, Transcendence received mixed-to-negative reviews from both critics and audiences: currently, it holds an IMDb user rating of 6.3/10, alongside Rotten Tomatoes scores of 20% from critics and 37% from audiences. I wish that the movie were better, because there’s a vivid fear lodged in it: that we could lose control to an artificial intelligence outfitted with human qualities, an electronic overlord that masters the grid…The movie is rhythmless and shapeless: Pfister throws in multiple climaxes and reversals and too many scenes of characters staring at computers in astonishment. 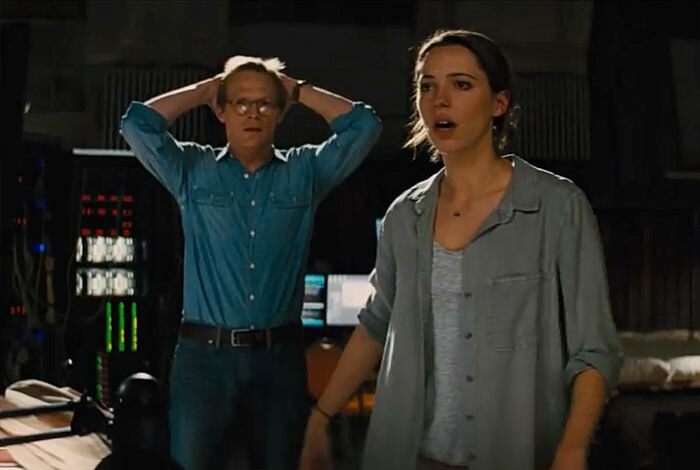 Transcendence…is just more business as usual, one of those “control technology or it will control you” sermons…Pfister tries to build layers of complexity into the material…but none of it takes, and the movie’s phony, love-beyond-the-grave ending doesn’t click, either. While it is fair to say that critics were not high on Transcendence, the variation in their negative opinions is something I found really interesting. Is this a movie that had good ideas, but failed to capitalize on them fully? Is this a movie rotten to the core, with no redeeming elements at all? Or is it a run-of-the-mill, uninspired flick with nothing new to say, covered in a stylistic veneer? 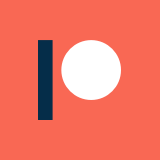 The fact that there is so much variation might be reason enough for people to give it a shot, because there seems to be a prism effect to the movie: people see vastly different things in it, depending on their angle. My personal opinion is that this is a movie that only works on a surface level: the deeper one digs into it, the less it really makes sense. From one scene to the next, it shifts from being a Luddite manifesto to being a rumination on if humanity can exist peacefully within technology. It feels like whiplash, and the effect worsens as the story draws to a close. On one hand, I think this is why there are so many perspectives on the film out there: it is easy to read your own beliefs and opinions into it, because the movie doesn’t actually take a consistent position. While this might make the story aimless and muddy, it can also spark some interesting discussing among audience members. Does that make Transcendence a good film, though? That, I’m not sold on. As far as positives go, Rebecca Hall is inarguably the standout performance of the film. Where the story doesn’t fully carry the dramatic weight, she manages to pick up the slack with a relatable, deep, and emotive performance of an obsessed, grieving, formerly-optimistic genius forced to come to terms with the drawbacks of her desires. Compared to the rest of the cast, who are either underutilized (Murphy, Collins, Jr., Bettany) or sleepwalking through the film (Depp, Freeman), she is the sole breath of fresh air that keeps the movie afloat. While the film does address a lot of interesting sci-fi concepts, like artificial augmentation and a tech-based collective consciousness, they are all only glanced over on the surface level. I can’t help but feel that, for this reason, the story of Transcendence would benefit from a longer form, like a novel or television series. A lot of the concepts here merit more time for development and exploration than they are afforded on screen, and that lack of development makes the film lean more toward being a Luddite straw man argument against technological development, which I’m not certain was intentional. All of that said, I couldn’t help but compare Transcendence to another movie I covered recently with a number of similarities: The Circle. Both films are about modern technology, have deep casts, and were critically panned. However, Transcendence looks like an absolute masterpiece in contrast to the train-wreck that is The Circle – so much so that I feel far less negatively towards Transcendence as a result of the natural comparison. For all of its flaws, Transcendence does feel like an honest effort, and it has a appealing, stylistic sheen. The Circle is genuinely the vapid, rotten, uninspired refuse that some critics claimed that Transcendence was. 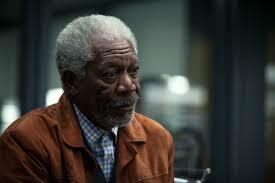 I’m far from convinced that Transcendence is a good film. However, I think it merits some re-evaluation now that a few years have passed – perhaps not as a film, but as a science fiction work. For folks who like their sci-fi on the hard side, I think this might have some appeal. However, I don’t think this is much of an entertaining film, and most people can skip it without a second thought.